Need to know what the ICB assessment policy is? We have got you covered. It is essential that you read all the fine print so you can be sure of what you need to do and not do. Have a look at the ICB assessment policy here. When you register to study an ICB course such as ICB Bookkeeping and Accounting, you’ll also need to register to be examined for it. This is so that they can determine at the end of it whether you know and understand the course material well enough to pass.Each ICB programme is designed to have specific outcomes. These outcomes are things that you will be able to do and understand as a result of your studies. This is the most essential part of the ICB assessment policy. Each outcome requires a certain amount of time for you to achieve it. These hours are represented by credits. As defined by the South African Qualifications Authority (SAQA), and the ICB assessment policy, 1 credit equals 10 notional hours. Notional learning hours are considered to be the time taken by the average student to achieve the specified learning outcomes. How do ICB assignments work? The three assignments which make up the formative mark in your PoE are important. They’ve been designed to prepare you for the tests and your final exam. 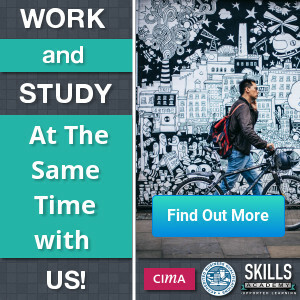 These assignments are to be completed under uncontrolled conditions – in other words, you can do them in your own time, when and however you want to. They must be completed in the Assignment Answer Books you’ve been given, and added to your PoE before your final exam. How do ICB tests work? According to the ICB assessment policy you must complete two tests as part of your overall assessment. There is no minimum mark you need to get for them, but they do count towards your final mark. Distance learning and independent/private students will receive their ICB Test Question Papers and Answer Books in their PoE, and must complete them during the course of their studies. ICB assessors will mark them with the final exam.Your ICB Test Answer Books MUST be included in your PoE when you hand it in at your final exam, so hang on to them and keep them safe! How does the PoE work? A huge part of the ICB assessment policy is your portfolio of evidence (PoE).The ICB uses Portfolios of Evidence (PoE) to conduct student exams. During your course, you will add things like exercises and assignments to your PoE. When you go to write your final exam you’ll put your question and answer paper into your full PoE and hand everything in. All this evidence in your PoE is examined by an ICB registered assessor, who uses it to decide whether you are competent in that particular subject this will count for 30% of your total mark.You must complete all the ICB Assignments and Tests before your final exam date and make sure you have inserted them into your PoE. What do I need to prepare for my exam? On the day of your exam, you’ll need to sign the ICB attendance register. Once you’ve finished your exam, you must add your question paper and answer book to your Portfolio of Evidence and hand it all in to your invigilator. Your invigilator will sign that they have received it, alongside your signature. Remember to make a copy of your entire PoE including your ICB Assignments and Tests, before you write the final exam, for your records. If the ICB does not receive your exam book(s) or PoE, you’ll be marked absent for the exam, even though there may be a signature on the attendance register. If anything doesn’t match up between the documents they receive and the attendance register, they will investigate and have the right to reject any submission and record a student as being absent for the exam. Your exam results will be released on a Friday. If you are a classroom student you will need to go to your college to get your results. Distance learners will have their results emailed to them or they can find them on the ICB Learner Portal. Where do I write my exam? Final exams are held at approved exam centres. Exam venues are arranged by the ICB. Please make sure that you have checked that you are writing at a registered exam centre here: ICB assessment centres. How do I register for my exam? You can also use the ICB Learner Portal. To learn more about the ICB Learner Portal you can read the step-by-step ICB Learner Portal guide on Skills Academy. You can read more on ICB here and also the ICB prospectus here.